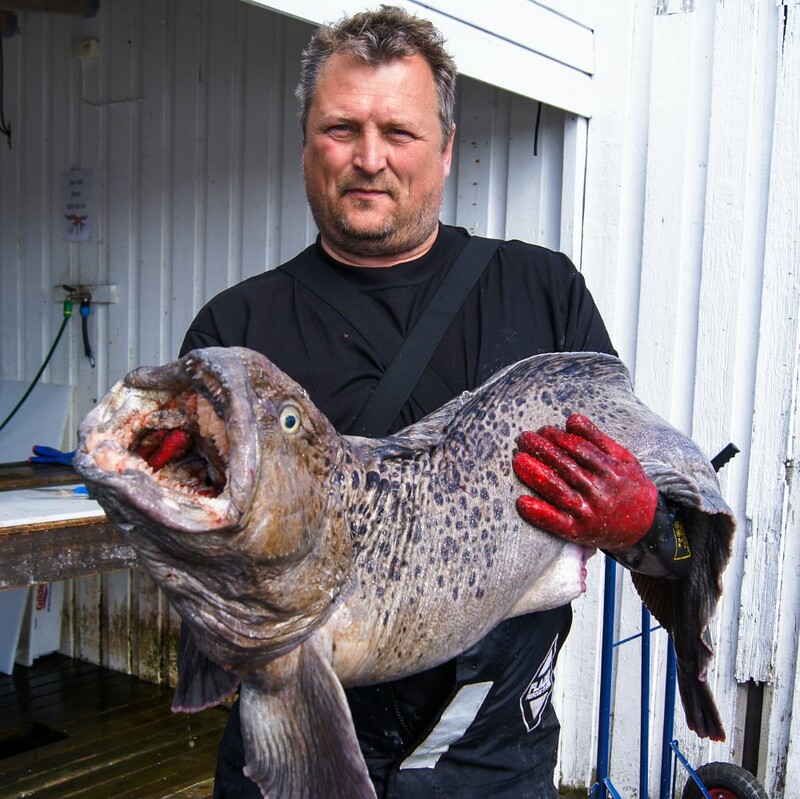 Angler Göran Billstedt from Gothenburg, Sweden, caught a rare spotted wolffish of 20.5 kilos (45.2 lbs) in the sea off the Sørøya Island. (Photo: Rebecka Svensson / Nordic Sea Angling). Right now, a fantastic fishing is taking place in Finnmark, Norway’s northernmost county. Enthusiastic anglers have travelled all the way up to the Sørøya Island with the Barents Sea as its closest neighbor. The ocean is full of fish and you are guaranteed to get good catches whatever fishing gear and previous experience. Göran Billstedt was not sure what he had got on the hook when he on Monday was fishing from a boat off the Sørya Island. – At first I thought I had caught a cod, so when it came to the surface I did not believe my own eyes, says Göran to NRK. Together with friends he has had a week’s fishing holiday – with great success. A 20.5 kilos spotted wolffish is also a record at Nordic Sea Angling that has hosted trips to the Sørøya Island for years, tells guide Hannes Ribbner. – There was a lot of noise on board the boat, says Ribbner, who was in another boat nearby. He also tells that two days earlier another record was set by tourists in Havøysund catching a 32 kilos cod. – Today we are a little bit tired. We have got a halibut weighing more than fifty kilos (110 lbs) and several very nice cod. But it is me they are jealous of, says a happy Göran about his friends. The spotted wolffish has its spawning area in the southwestern part of the Barents Sea at 300-400 meters depth, and is considered a rare sport fish. 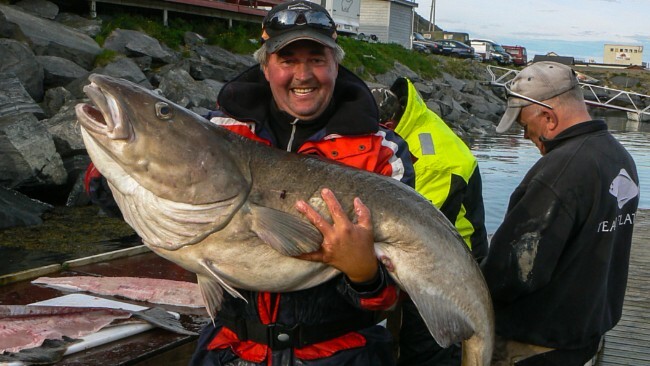 The Norwegian record is 27.9 kilos (61.5 lbs), while Göran Billstedt is very pleased with the catch of 20.5 kilos. Goodness gracious- that fish looks terrifying and delicious all at the same time!